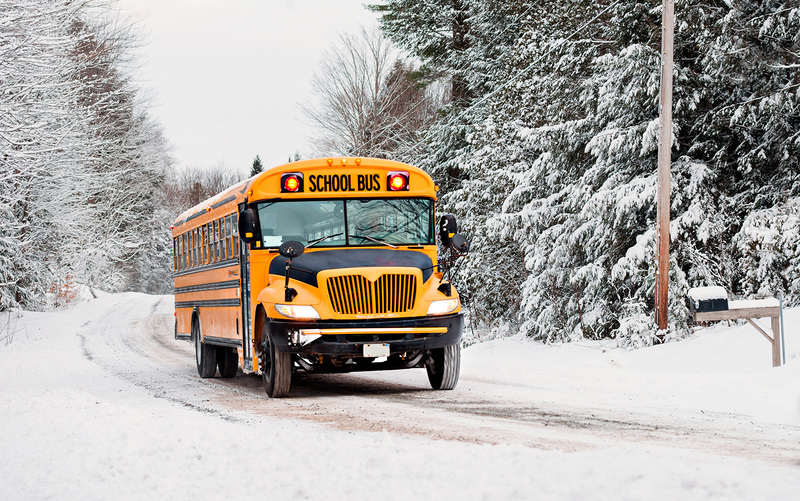 Muskoka Stock Photo | Shutterstock.com — Canadian school bus. Canada, the second-largest country in the world, has a great system of education that provides its students with world-recognized certificates, diplomas, and degrees. If you want to learn more about the distinctive features of the successful system of education, we provide you with Canada education facts. Canada, consistently declared by the United Nations as the best country to live in the world, has one of the lowest fees structure among countries that provide its students with world-recognized certificates. To get a higher education in Canada, a student will have to pay approximately from CAD $13,000 to CAD $15,000 annually. To provide students with a quality education, there are about 80% of colleges and Universities that are managed by the government. Most of the teachers, except for pre-primary and primary school teachers in Canada, have a higher education that allows them to be experts in one particular field and provide their students with the deep knowledge of the subject. Canada is the world-leader when it comes to language training. As the country with two official languages, English and French, it requires its students to learn both. If a student wants to learn some additional language, Spanish is the most popular choice. It is interesting to know that there are about 21% of people in Canada who speak a foreign language as mother tongue. 40% of those people speak European languages and about 56% speak Asian. In the most cases, Canadian system of education provides students with mixed classes. Nevertheless, there are some private schools in Canada that offer classes for boys or girls only. There ar some slight variations in the system of education between each province in Canada. Nevertheless, each province and territory has an official curriculum that students will be taught in each grade. Nearly each religious community in Canada has private religious schools. Public religious schools are mainly Catholic. Schools provide students with all the textbooks needed. To prepare for a school year, a student has to buy only such school supplies as pencils and paper. Students with physical, cognitive, psychological, emotional, behavioral or linguistic problems can get help including a special education program provided by each state school. Parents also have a choice to enroll their children in private special needs schools. Though such schools are not free, some provinces/territories provide 100 % funding to allow children with special needs to attend such school. To let parents know about the progress of their children at school, there is a system of report cards in Canadian schools. A report card is given to a student several times during the school year to inform parents if there are any problems with particular subjects. Winters in Canada can bring quite aggressive weather conditions and sometimes schools can close for a couple of days because of snowstorms or severe cold. To inform students and their parents about school closures, radio and television are used. Students in Canada have to follow the school dress code. When it comes to private schools, in the most cases a student will be required to wear a uniform. In order to make the process of education more efficient and attractive to students, schools organize field trips to such places as museums, cultural institutions, city neighborhoods, etc. Canada is known as the country that represents nearly all ethnic cultures. Bullying is strictly forbidden in Canadian schools. There are bullying prevention programs that work in each school of the country to guarantee equality and to protect children. Canada is considered to be a popular destination among international students who came here mainly from such countries as China, India, Korea, Saudi Arabia and the US. The number of students who came to get an education in Canada from 2001 to 2012 almost doubled, reaching 265,000 students. Over the period from 2011 to 2012, the figure increased by 11%. There is the Student Partners Program (SPP) that provides international students with post-study work permits of up to 3 years. After 2 years of study in one of the Canadian universities, a student can apply for Permanent Residency in Canada. Almost all provinces in Canada offer some immigration options to international students that can lead to Permanent Residency in the country. The Canadian government has a great sense of humor. On April Fool’s Day 2015, students of the country were shocked by the information that Canada is on the way to introduce a year-round school and the goal is to be accomplished by 2017. Though it was not true, it was a great joke.